Mt Pelerin unveils the very first issuance of tokenized shares, recognizing the token holder as a shareholder in the meaning of Swiss law. A financial and technological revolution. On October 16th 2018, Mt Pelerin Group SA, a startup from Geneva with the ambition to become the first bank in the world to be entirely built on the blockchain, was issuing its shares in the form of tokens. Until today, most of blockchain projects have tried to structure their token as a private law contract simulating a share, without being one legally speaking. This approach has raised many problems and uncertainties. Mt Pelerin’s innovation is to have succeeded in having its tokens recognized as shares, in collaboration with the Capital Markets and Technology Association whose members include Swissquote, Temenos, Lenz & Staehelin, EPFL and Mt Pelerin. Therefore, owning a Mt Pelerin token (MPS) simply equals to owning one of the shares of the company. Each token holder is a shareholder with voting and dividend rights and is protected as such by Swiss law. Tokens sold will be liquid and freely transferable after a lock-up period that will end on January 31st 2019. For investors, this innovation is a revolution. Indeed, an investor buying the regular shares of a startup ends up with an illiquid asset: it is difficult to trade such shares. Usually, the main way for an investor to retrieve his funds is to wait for the startup to do its exit, which can take years. Today, with tokenized shares the blockchain becomes a de facto secondary market on which such shares can be easily traded online. Moreover, the existence of such a dynamic market gives a company and its investors an instant valuation straight from the market. In other words, tokenized shares enable investors to buy and sell a company’s shares virtually instantaneously without requiring the company to be listed on a public stock exchange, a step out of reach for most businesses. Aware of the strength of its innovation, Mt Pelerin has applied it to itself by issuing its own shares on the blockchain for its initial round of funding, a first step towards the objective to obtain a banking license. With it, Mt Pelerin’s ambition is to create a new kind of bank based on full reserve, marketplaces and tokenization. With full reserves, Mt Pelerin wants to stop gambling with people’s deposits to drive profits. Instead, it wants to offer banking products through marketplaces aggregating supply and connecting customers together. Beyond much cheaper products and a radically safer banking model, this approach will also open new investment opportunities thanks to the tokenized nature of the whole platform, which will bring whole new classes of highly liquid assets within anybody’s reach. 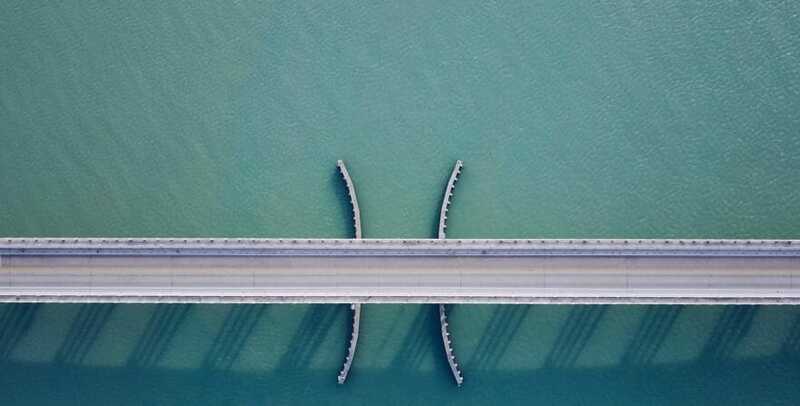 The company has also open-sourced its “Bridge Protocol”, the most advanced technical framework for the issuance and most importantly the lifecycle compliance of financial instruments on the blockchain. The goal here is to help companies get a head start and benefit from the vast potential of tokenized shares, without having to walk the long and costly road that Mt Pelerin followed to write History. Disclaimer :Mt Pelerin has the ambition to become a bank, but it is not yet a bank and is not yet licensed as such by Swiss authorities. The information included in this document do not constitute fiscal, tax, legal, financial or investment advice and do not constitute a recommendation to buy or sell assets. Mt Pelerin and all the other companies mentioned in this document cannot be held responsible of the consequences resulting from the trust granted to the opinions or statements included in this document, or from any omission.